This multi-use establishment links casual fine dining, a bakery, a retail wine shop and a wine bar. 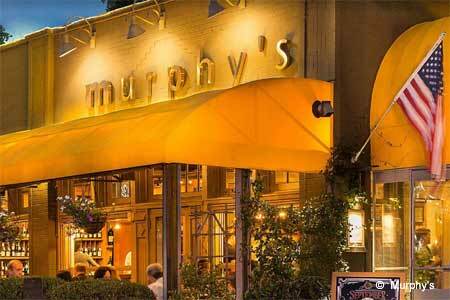 : Occupying a historic spot in Virginia Highland, Murphy's has a romantic atmosphere. Use it as a wine bar, a retail shop and a lunch or brunch destination, and of course for dinner. Guinness-braised beef brisket, a signature dish, appears in a substantial sandwich at lunch and as a main course at dinner. Local flavors abound, from cheeses to roasted Springer Mountain chicken. Each day brings a different special, such as Monday’s coq au vin. Eggs Benedict on crab cakes with jalapeño hollandaise sauce is a longtime fixture on the extensive brunch menu, where omelets are made using cage-free eggs. (Former longtime executive chef Ian Winslade has left Murphy's.) With a resident pastry chef on duty, all sweet meal-enders are worthy, including house-made ice creams, Key lime pie and Toll House pie, which has reigned probably all 30 plus years of the restaurant's life. Murphy's features wine-centered events, including tastings and dinners and the well-balanced wine list offers many good choices by the glass. Not eager for a meal? Sit at the horseshoe-shaped wine bar, sample a wide variety of taste-size pours, and chat with the wine guru on duty. Monday at dinner, enjoy half priced wines by the bottle.